Dreaming of your name in lights? We can help! We’re there every step of the way. Design. Manufacture. Install. Service. Custom sign ideas - realized. Our design team is here for you. 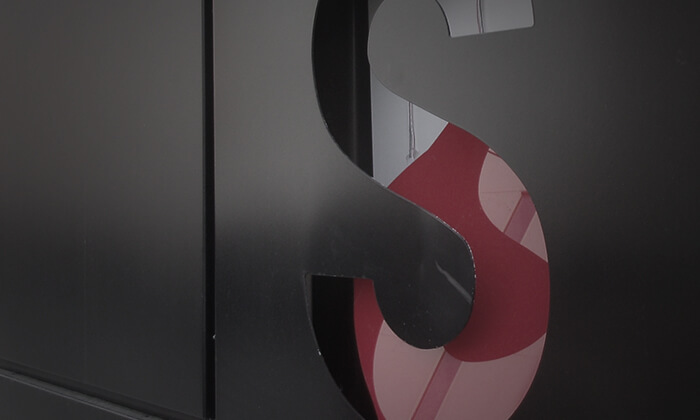 Sign design is a critical stage in building brand identity and recognition. 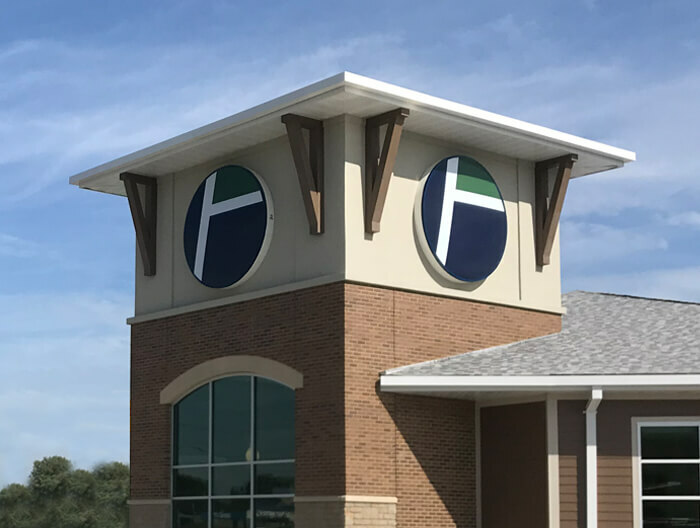 We know how crucial your identity is, and our professional designers will employ your ideas to design your sign using your existing logo or create a custom design to fit your needs. 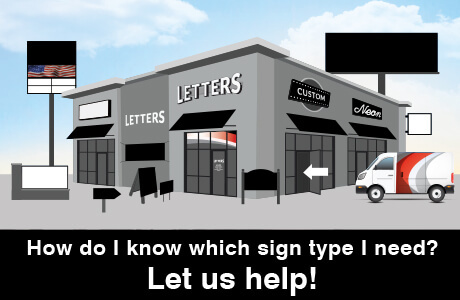 Once you review and approve the design of your sign, the approved layouts get passed to our shop professionals to begin the fabrication process. 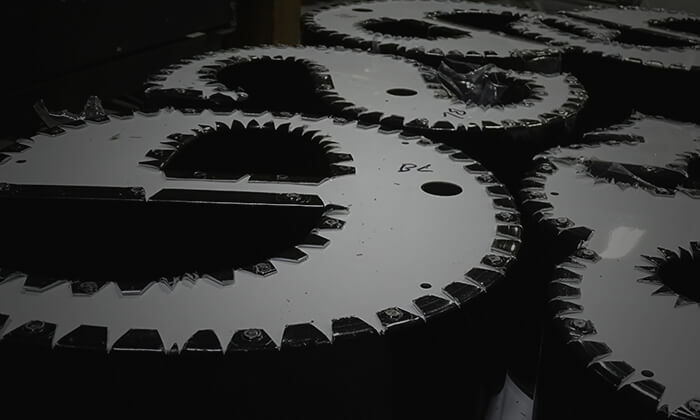 Our facilities are equipped with up-to-date technology, quality materials and an experienced team which allow us to successfully fabricate the majority of our products in-house. Your finished sign is inspected and transported to your place of business, where it is installed by our professional crew. 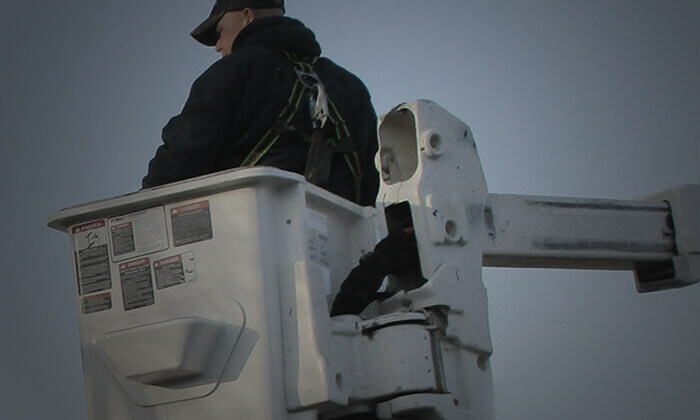 Whether dealing with interior or exterior, lit or non-lit, cut vinyl entrance signs or high rise pole signs, our installation crew is trained and qualified to permit and install your entire sign package. 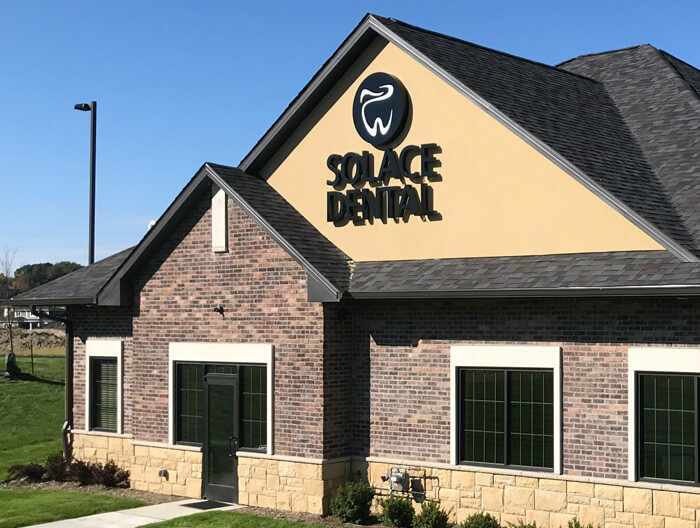 Your exterior signage forms your client's first impression of your business; thus it is very important that your signs retain their quality appearance and that they function properly. 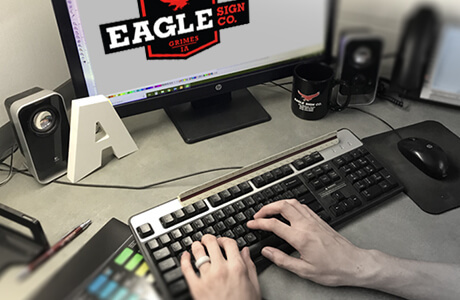 When your sign isn’t lighting correctly, is damaged, or has peeling paint or vinyl, Eagle Sign Co. can provide you with first-rate sign repair and maintenance. Everything turned out perfect, looks better than I even thought it could! Your installers were professional and awesome too!!!! Thanks for the great work! 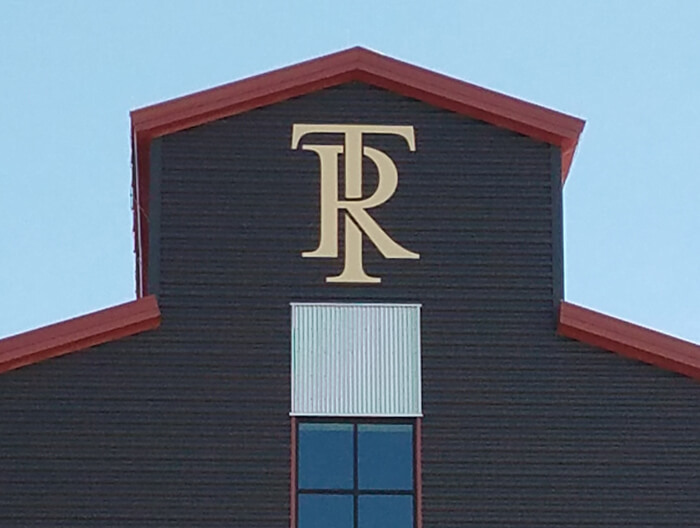 After trying and failing with two previous sign companies, we finally found Eagle Sign Co. What a difference! 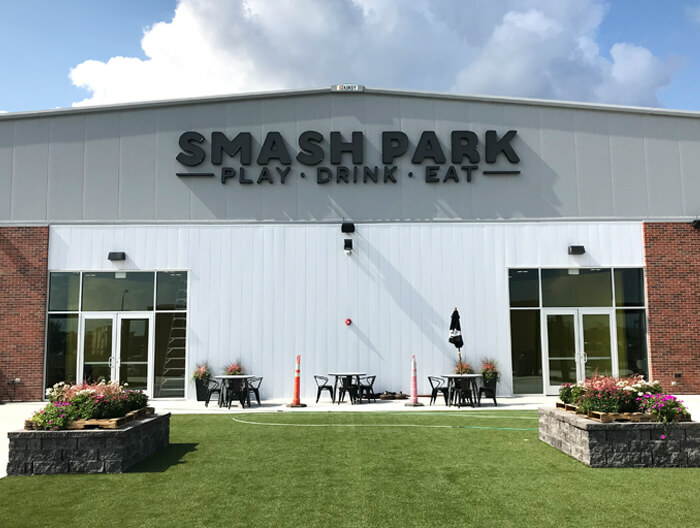 Jeff immediately invited us in to tour their new facility, and to discuss how they could help us bring our design concept to life. They offered great solutions on lighting and materials and remained in close contact throughout the entire process. It truly felt like we were collaborating with a company who above all, desired to see our vision come to life in the best possible way. Eagle Sign was the company we had been searching for. I would highly recommend Jeff and his team to anyone looking for a sign company with real integrity and a personal touch. Working with Eagle Sign was not only easy it was a joy. 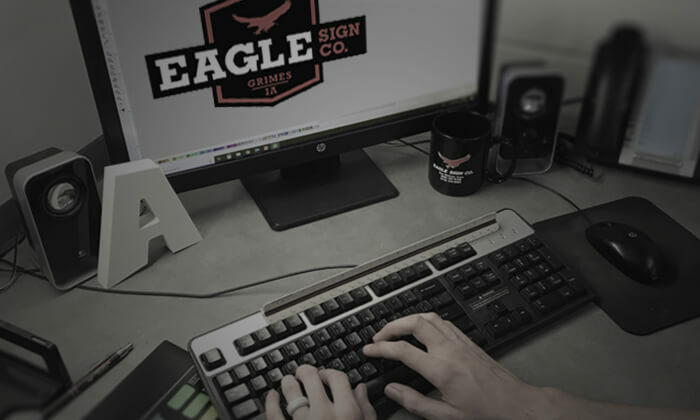 The Eagle Sign team provides professional products, great customer service, and fair pricing. 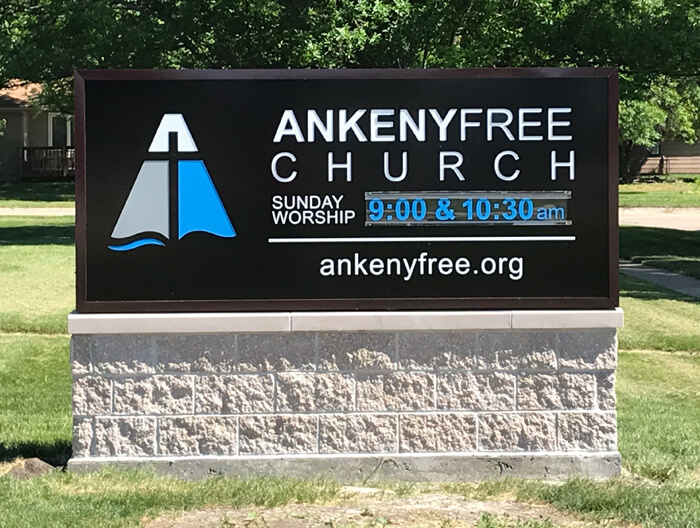 Our company, Ankeny Family Vision Center, gave them an idea and they made it a reality. We are beyond satisfied and will absolutely be doing business with them in the future.